Holy Family School is going GOLD - Friday, September 29th! Holy Family School is going GOLD as we support the fight against childhood cancer! We will be accepting monetary donations on Friday, September 29th, and students are encouraged to wear as much gold/yellow as possible. In addition, we will be praying for all those children who are fighting, have fought, or who have lost their fight against cancer. Please send in the names of any child for whom you would like us to pray. Names can also be emailed to Mrs. Horner at mhorner@myholyfamilyschool.org REMINDER: Dress-down rules apply. Flip flops, yoga pants, leggings are not permitted. Please click on the title to view all the details. We are in need of Lunch Parents on Tuesday, Wednesday and Thursday! 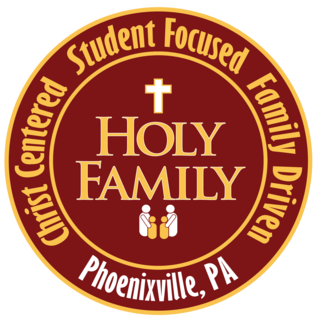 If you have some time to spare and your clearances are up to date please contact Mrs.Nemceff at dnemceff@myholyfamilyschool.org! Session begins September 26th! Click on the title above for all the details! Click on the link to view the flyer from the Girl Scouts!